<p><strong>The American debut of internationally bestselling Swedish writer Camilla Lackberg&#x2019;s haunting first novel.</strong></p> Returning to her hometown of Fjallbacka after the funeral of her parents, writer Erica Falck finds a community on the brink of tragedy. The death of her childhood friend, Alex, is just the beginning. Her wrists slashed, her body frozen in an ice-cold bath, it seems that she has taken her own life.<br /><br /> Erica conceives a book about the beautiful but remote Alex, one that will answer questions about their own shared past. While her interest grows into an obsession, local detective Patrik Hedstrom is following his own suspicions about the case. But it is only when they start working together that the truth begins to emerge about a small town with a deeply disturbing past. Camilla Läckberg worked as an economist in Stockholm until a course in creative writing triggered a drastic career change. Her novels have all become #1 bestsellers in Sweden. 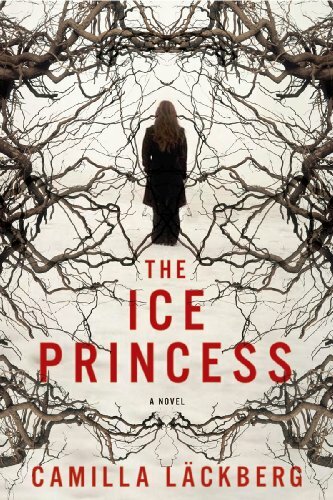 Her thriller The Ice Princess, winner of the Grand Prix de Littérature Policière for Best International Crime Novel, has been published in over twenty-five countries. She lives in Stockholm with her husband and five children.